Nobel laureate Dr Har Gobind Khorana, who passed into the ages last week, was a true pioneer, Suman Guha Mozumder reports. This is the first part of a series paying tribute to the Nobel laureate. Nobel Laureate Dr Har Gobind Khorana, the pioneering biochemist who trained thousands of scientists all over the world and inspired many more to truly love science, died in a hospital in Concord, Massachusetts, November 9. Dr Khorana, who received the Nobel Prize in physiology or medicine in 1968, was 89, although his exact date of birth is unknown. He was born in a poor family in a small village in Punjab, and by dint of sheer talent and tenacity rose to be one of science's immortals. Till his death, he was the Alfred P Sloan Professor of Biology and Chemistry emeritus at MIT. The scientific world mourned Dr Khorana's death and wondered how someone from such a humble background came to have such an enduring impact on modern science, especially the unraveling of the mystery surrounding genetic codes. "Dr Khorana was simply a true scientist — more interested in the next project and experiments than in capitalising on his fame," Dr Venkatraman Ramakrishnan, who won the Nobel Prize in chemistry in 2009, told India Abroad in an interview from London. "His former postdocs (students) tell me that he was very hard-driving and expected total dedication from his lab members; but I think they all felt they benefited greatly from the experience," added Ramakrishnan, the India Abroad Person of the Year 2009. For more than half a century, Dr Khorana had carried on his father's legacy — by imparting scientific education to thousands of students, and by advancing the realms of human knowledge. He loved his students so much that he would sometimes part with a project on which he had deep interest, and give it to some student. "He wanted everybody to succeed," said Dr Uttam L Rajbhandary, the Lester Wolfe Professor of Molecular Biology and associate head of the department of biology at MIT, who conducted research under Dr Khorana. Dr Khorana was born in 1922 in a small village called Raipur in Punjab (now in Pakistan) and was the youngest of five siblings — one daughter and four sons. His father was a patwari, an agricultural taxation clerk in British India. Dr Khorana attended high school in the nearby city of Multan before enrolling in Punjab University, where he received his bachelor's degree in 1943 and masters in 1945, both in chemistry and biochemistry. After graduation, he received a fellowship from the Indian government to study at the University of Liverpool in the United Kingdom where he received his PhD in 1948. After returning to the UK for another postdoc position at Cambridge University, Dr Khorana moved in 1952 to Vancouver, Canada, where he took a job at the British Columbia Research Council and where he stayed for eight years, continuing his pioneering work on proteins and nucleic acids. "In some ways Dr Khorana's talent and pursuit for scientific research flourished in the BCRC lab where he could work freely," Rajbhandary said. "That, I think, prepared him for what he would be doing in later years in terms of research that ultimately helped him win the Nobel Prize." 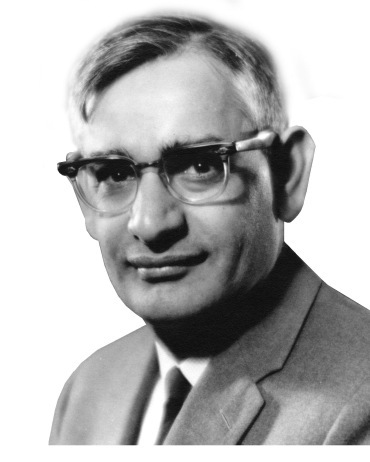 Dr Khorana joined the University of Wisconsin in 1960, and 10 years later joined MIT. He won numerous prestigious awards, including the Albert Lasker award for medical research, the National Medal of Science and the Ellis Island Medal of Honor. But he remained modest to a fault — his students and colleagues said he always wanted to stay away of from the glare of publicity. The Washington Post noted that he would talk about important scientific announcements not through the media, but only in scientific publications and at departmental seminars. 'When he spoke out it was against declines in scientific funding by the government and against the Vietnam War or more recently against the invasion of Iraq,' the newspaper wrote. A measure of his success as a scientist is that a Vancouver park was named after him long after he left the city. 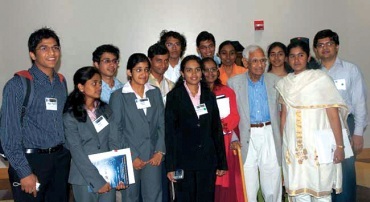 A conference hall at the University of Wisconsin, that has started the Khorana Program, a student exchange program between India and the United States, is named after the pioneer. Sam Pitroda, adviser to the Indian government, who has been associated with the UW program on Khorana Exchange, told India Abroad from New Delhi that Dr Khorana did some of the most fundamental work that laid new paths and set new direction for research for the betterment of humankind. "Dr Khorana had no other interest in his life except the pursuit of research, pure scientific research," said Pitroda, often credited as the man behind India's telecommunications revolution. "He was not into glamour or publicity — but just pure pursuit of science. It is unfortunate that the Indian media has not covered his death properly and not given him his due."